How drones made it easy for Americans to kill a particular person anywhere on the planet. The unmanned aerial vehicle—the “drone,” the very emblem of American high-tech weaponry—started out as a toy, the fusion of a model airplane and a lawn-mower engine. While its original purpose was to bust up Soviet tanks in the first volleys of World War III, it has evolved into the favored technology for targeted assassinations in the global war on terror. 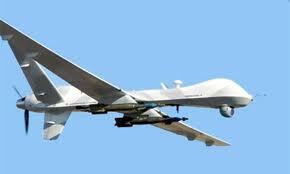 Its use has sparked a great debate—at first within the most secret parts of the government, but in recent months among the general public—over the tactics, strategy, and morality not only of drone warfare but of modern warfare in general. But before this debate can go much further—before Congress or other branches of government can lay down meaningful standards or ask pertinent questions—distinctions must be drawn, myths punctured, real issues teased out from misinformed or misleading distractions.